A water wall boiler tube repair system for biomass boilers that precisely cuts tube panels without a HAZ (heat affect zone) and bevels for superior welding end preps has been introduced by Esco Tool of Holliston, Massachusetts. 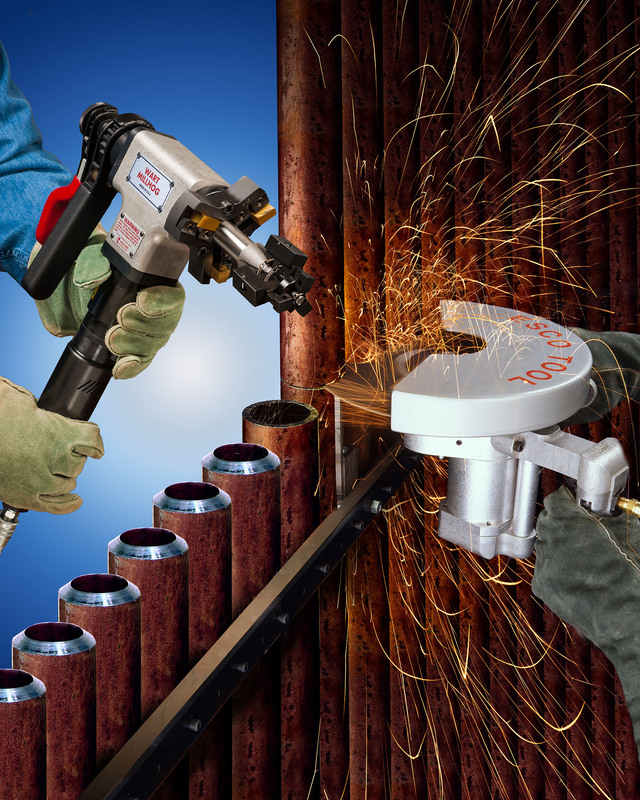 The MILLHOG® Water Wall Boiler Tube Replacement System consists of an APS-438 Air-Powered Saw and Track System that tack welds to the tube panel and cuts with ±1/8” accuracy; along with a Wart MILLHOG® Beveler that can bevel, face and bore simultaneously. Mounting to tubes using a self-centering I.D. clamp system, the beveller can perform 30° to 37-1/2° end preps precisely. Fast and accurate, the MILLHOG® Water Wall Boiler Tube Replacement System eliminates torches, HAZ, and grinders, and can also be configured for membrane removal to handle tubes with overlay. This system is ideal for tubes from 1” to 4” O.D. and the Wart Beveler uses TiN coated blades to machine carbon steel or highly alloyed tubes without using cutting fluids. The MILLHOG® Water Wall Boiler Tube Replacement System is priced from $10,995.00 (list); depending upon configuration and is available for rent.